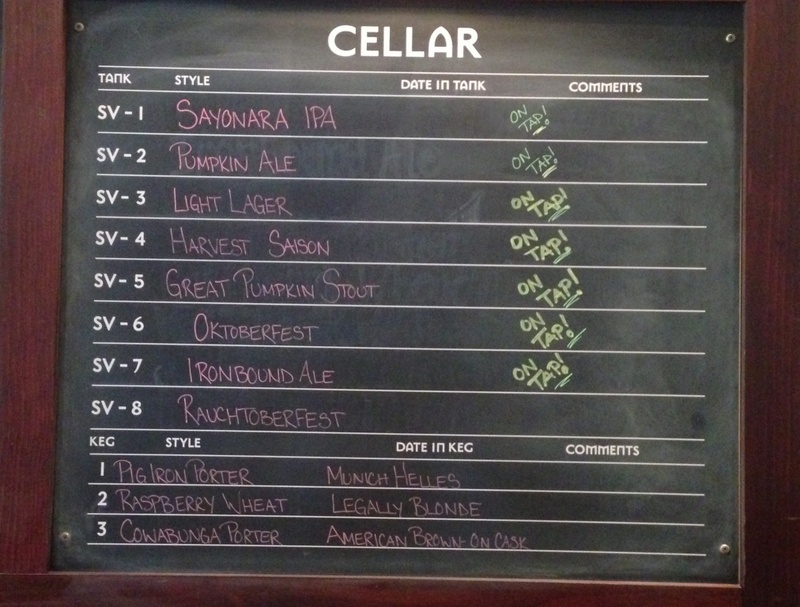 My weekend camping trips always include a visit to a local brewpub…here’s the next in my occasional series of posts about camping trips and brewpub visits. Camping Trip: Part 2 of my October camping trip to Amish Country, near Lancaster, Pennsylvania. (See Part 1 in my prior post). This landscape of rolling hills and farms, where horses and buggies share the roads with cars, is a beer destination. Brewpub Visit: Iron Hill Brewery & Restaurant in Lancaster is right across the street from picturesque Franklin & Marshall College. I stopped in for an early lunch on a Sunday and the place was already packed — I could tell this was a popular spot with the locals. 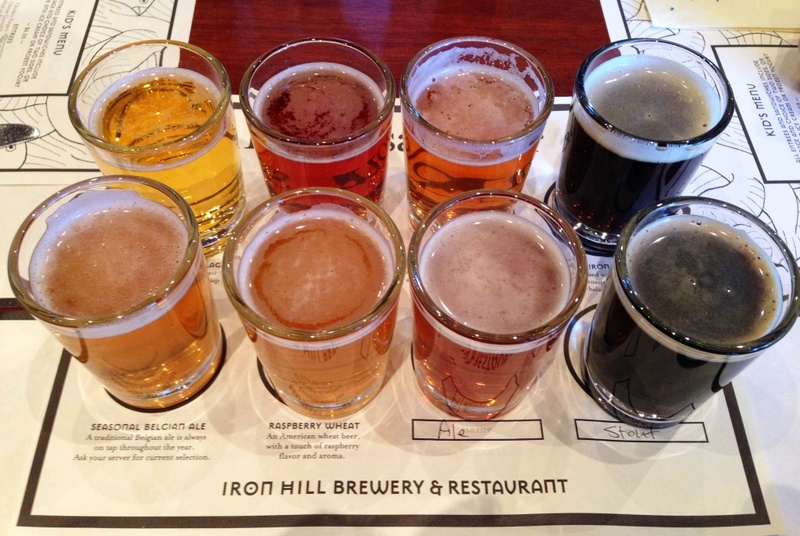 I really liked that Iron Hill had so many different fall seasonals — it’s too hard to pick a favorite! In keeping with the Halloween spirit, I carried out a growler of Pumpkin Ale.